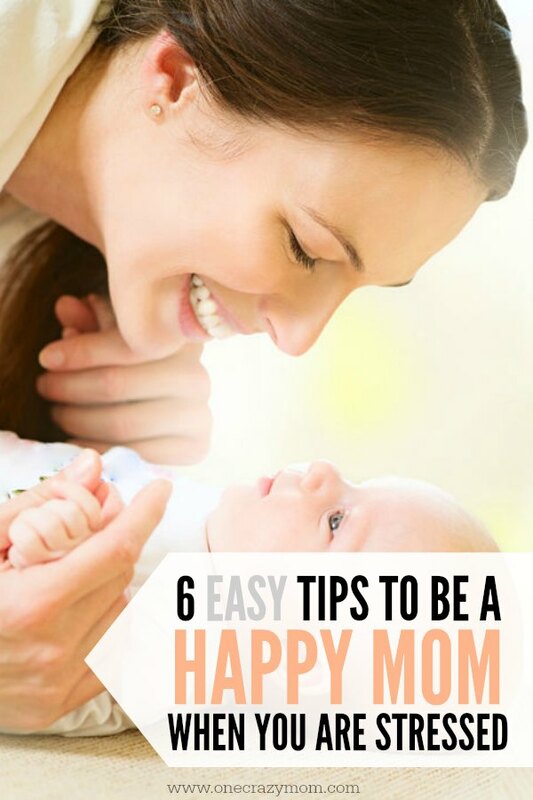 Utilize these 5 tips to be well on your way to learning how to be a happy mother. 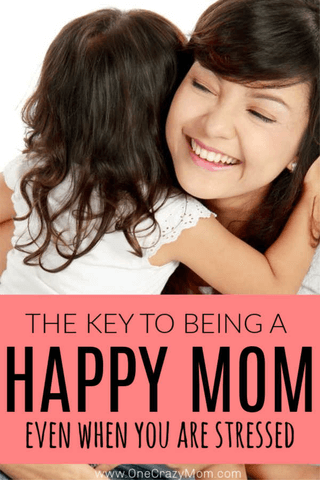 Learn how to be a Happy Mom when you don’t feel like it. Yes, you can do this! Happy and stressed are two words that don’t seem like they should go together (like jumbo shrimp! ), right? But they can! 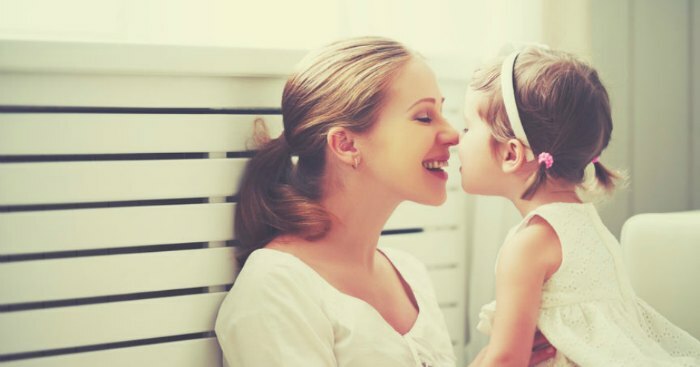 Today let’s talk about some stress relief tips that will help you on how to be a happy Mom. Because goodness knows we are all stressed! Quick and Easy Stress relief tips. Trust me I know. I have 8 kids and I’m not going to lie… Life is hard, really hard. Let’s don’t sugar coat it for you. But regardless of how stressed we are we need to find a way to be happy among the hardships and among the stress. There is always something to be thankful for and sometimes simply thinking on this for a minute can change the day’s course. Let’s be real ya’ll……life is stressful and balancing all the demands of motherhood with everything else is not easy. The day to day activities can be so stressful. I have learned it is not always about eliminating stress but finding a way to manage it. Because life will always hand you a curve ball when you least expect it. 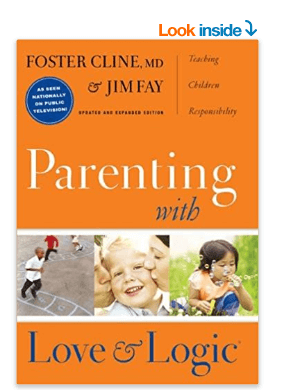 We are all so busy but I have found several books that really have helped me a lot. Take a few minutes and do something for you. 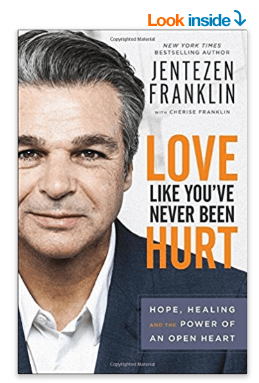 Maybe you don’t have time for all 3 but can set aside a few minutes each day to start reading one of these. Instead of scrolling on your phone in car line, read your book for those 5 minutes. Take a few minutes for yourself and see how it will help your day. I have been in situations where it has literally been minute by minute not even day by day. When life is simply to hard to even focus on the day at hand, try focusing on a portion and just getting by minute by minute. Some seasons of life are like that and we just have to do our best. All three of these books have helped me learn how to be a happy mother. The human heart was created with a great capacity to love. But along with that comes a great capacity to feel pain. There is no denying that those who love us, who are closest to us, can wound us the most profoundly. That kind of pain can be difficult, if not impossible, to overcome. And it can feel even more impossible to continue loving in the face of it. Yet that is exactly what we are called to do. Give these tips a try to work toward happiness, and before long, you’ll find that you don’t have to work at it – it will come naturally! 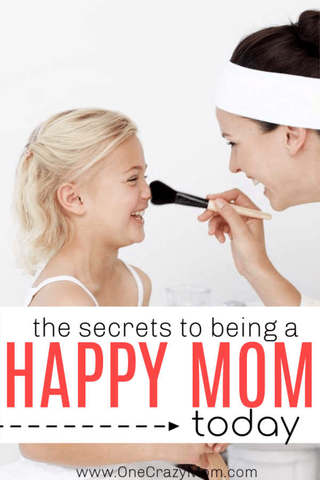 We all can use tips to learn how to be a happy mom when you are stressed! From the children throwing a temper tantrum to running on just a few hours of sleep, these things only heighten the stress level. I know how I feel when I am sleep deprived and running from activity to activity. Can anyone else relate? Whether you are a stay at home mom or work outside the home, we all know what it is like feel stressed and have a bad day. That feeling like you never stop and constantly run on empty. Yeah that feeling….it is no fun! It’s easy during the daily grind to forget all you have to be thankful for. Pick up a small notepad from the dollar store and keep it with you. Each time a blessing sneaks up on you over the course of the day (a short line at Starbucks counts! ), write them down. Practicing an attitude of gratitude shifts your mind to focus on the positive. You will also find some great blessing journals that you can keep with you at all times. 2. Keep your bedroom (or some room) kid-free. Don’t worry – I don’t mean that your kids can’t spend time in your room or snuggle in bed during a thunderstorm. Instead, I mean that your kids’ toys, clothing, etc. should not take up permanent residence in your bedroom. Neither should piles of laundry, the dog’s toys, or the vacuum. You need to have a space that is purely yours, where you can relax and put away the mental clutter you deal with on a daily basis. Whether that’s your bedroom or somewhere else in the house doesn’t matter – just find somewhere that you can keep neat and go to get a breather. This is probably my favorite of the stress relief tips and the one I need to work on the most. Make this room your sanctuary so you have somewhere calm and peaceful to retreat too. 3. Find something that you enjoy and take the time to do it! This is also called “me-time.” We wear a lot of hats – mom, wife, employee, daughter, sister, friend, PTA member, etc. The most important hat is the one we neglect – being yourself. If you don’t take the time to recharge your batteries, it is impossible to be effective at all the roles you perform each day. Find something that makes you smile that has nothing to do with your kids – reading, writing, going for a run – and make it part of your daily routine. You will be happier for it, and each of your relationships will benefit! Taking time for yourself makes you a better mom, wife, friend or whatever the case may be. 4. Stop trying to be Supermom. 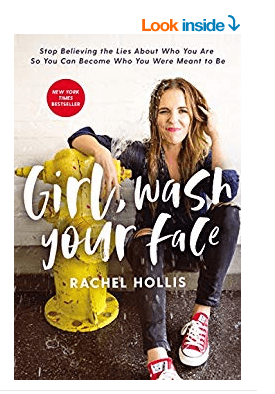 I have news for you – you already are Supermom! You don’t have to prove it by making the perfect cookies for the bake sale or hand-making your child’s Halloween costume. There is no point trying to live up to the unrealistic expectations you have for yourself. You’re the only one with those expectations – everyone else thinks you’re doing just fine already! So skip being a Supermom and just focus on how to be a happy mom. 🙂 Trying to do it all and be it all will only lead to more stress, disappointment and frustration. You can only do so much and you are only ONE person. Remember that! There are things you just plain can’t control, and you’ll save yourself a great deal of mental anguish by asking yourself in a situation whether you can do anything more than what you’ve already done. Let is go and choose to be a happy Mom instead. If the answer is no, you have to get past it. The Serenity Prayer is a classic for a reason! I am always saying “Let go and Let God.” So many things are just out of our control. How to not be stressed when you ARE stressed. Sure this sounds hard but if you really try these 5 easy tips I think you will find that eventually you won’t be stressed at all or it will be diminished. There will always be more stressful days or seasons due to things going on. Learn to implement these tips so that when those seasons pop up, stress will not get the better of you and your family as a result. Your stress level can be controlled by the way you think, and you can re-train your brain to think differently! Spend a month focusing on these tips, and you’ll be surprised at the changes you see in your thinking, your life, your relationships, and your overall happiness. In the long run, you will be a happy mother and far away from your breaking point. While kids love to push our buttons, the happiest moms learn how to overlook this. Sometimes it helps to just leave the house and spend time with family and friends. Maybe have a date night and that for sure will make for happy parents. Someone once said “if Mama isn’t happy, no one is.” A happier mom definitely makes for a happy family. Sometimes, I just like to sit in the living room and watch the kids play and it makes me feel happy. Come back and let us know what changes you see as you implement these suggestions into your own life. We would love to celebrate with you as you learn How to be a happy mother. We are all unique and special and have so much to offer the world as woman. If you have any tips or tricks you have learned along the way, please share them with us. They might just help another reader walk through this journey called motherhood! Lean on your friends and don’t try to do it all alone.